● This Checkbook Cover would give you the perfect reason to get rid of the ugly plastic checkbook cover that came from the bank. ● Checkbook Covers hold a check register and a book of top tear checks – side tear checks will not work with this cover. It has 2 slip pockets - use it as wallet, to keep receipts, coupons, gift card and much more. 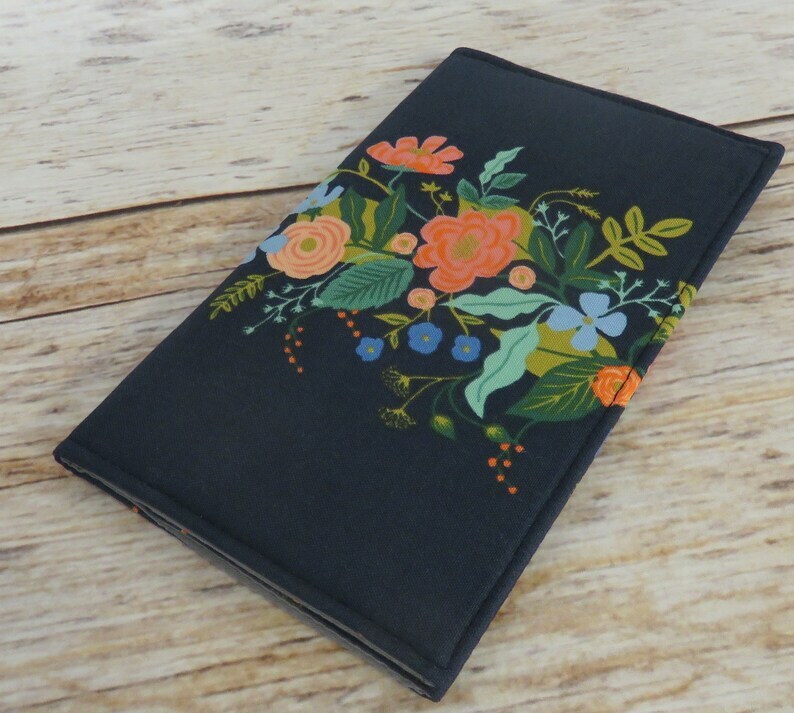 ● Rifle Paper - Cotton + Steel English Garden Floral Vines Fabric for the outside. ● Gray cotton fabric for the lining. ● Interfaced for strength and durability. ● Measures approximately 6.5" x 3.75" (when closed) - this is the standard size for most checkbooks in the United States - but some international checkbook sizes may vary. ● Each item is handcrafted - measurements may vary slightly.